Incorporating lamps, pendants, sconces, even night lights into your home goes beyond just satisfying your lighting needs. Style and design are also important to think about, especially if you want a complementing look to take you from room to room. 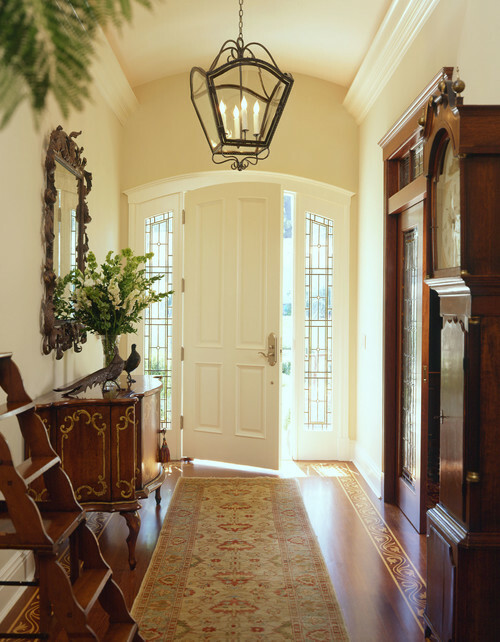 One of our favorite styles, the lantern lamp, works best to differentiate your lighting in each room while maintaining a similar look and offering the perfect amount of lighting. 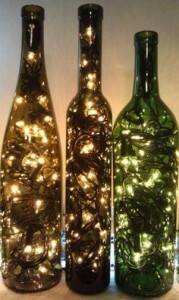 Below, we identify the most appealing ways to decorate and illuminate your home with this type of lighting. 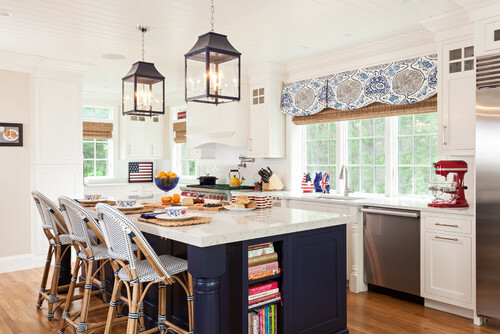 Perhaps the most classic kitchen lighting option, one lantern pendant (or multiple) over a kitchen counter, island or table offers the best overhead lighting for preparing meals, writing down a recipe or chatting with guests. Choose a finish that matches your cupboards, counters or one that makes a colorful statement. In place of a single chandelier, use lantern pendants in the dining room over your table. The rustic frame and glass panes complement both traditional and more formal rooms (and if they happen to match the lanterns from your kitchen, that’s an added bonus!). 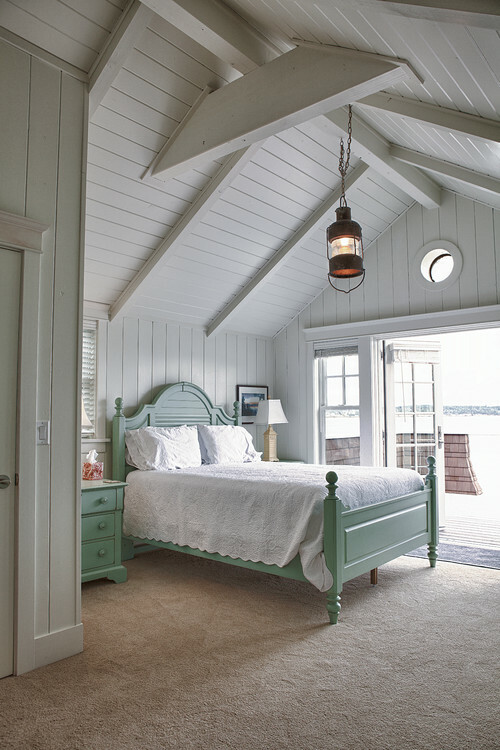 This is a more primitive style lantern lamp than those above, but that’s exactly why it works in this simple, cottage-style bedroom. Its old-world feel resonates beautifully with the furniture and color palette, drawing the eye upwards to the raised ceiling and creating wonderful mood lighting in conjunction with the table lamps on each night stand. 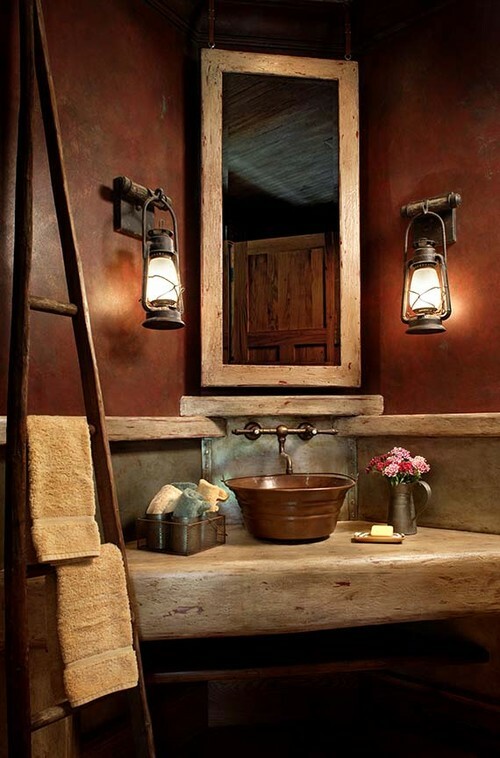 This space exudes rustic charm, but it also shows that lantern lamps are a practical choice for lighting around a focal point in a room, like a mirror in the bathroom or a mantel in the family room, and also serve as wall art whether they are in use or not. 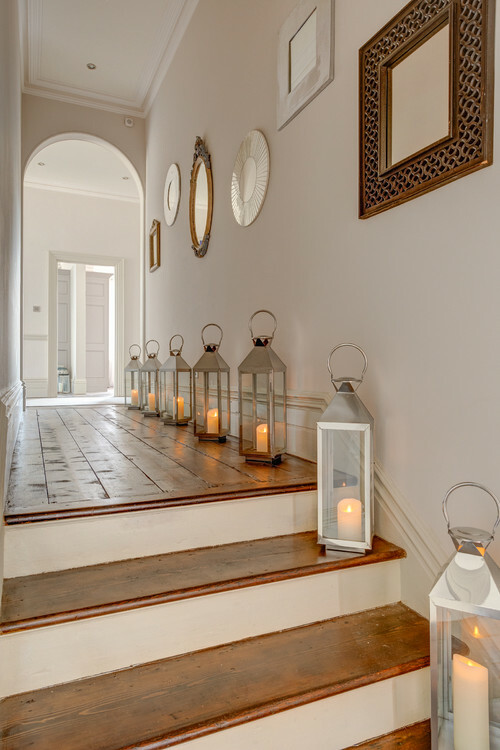 What better sight to see upon walking into your home, or to welcome your guests with than an elegant lantern lamp? Place one in an entryway or front hallway for the ideal amount of accent lighting and embellishment (candelabra bulbs are a nice touch). 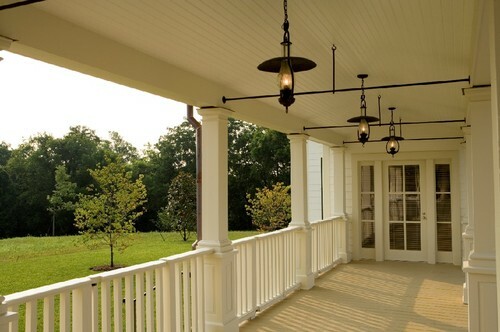 Take your lantern lamps outside and accent your country porch or front stoop with antiqued charm and plenty of lighting. 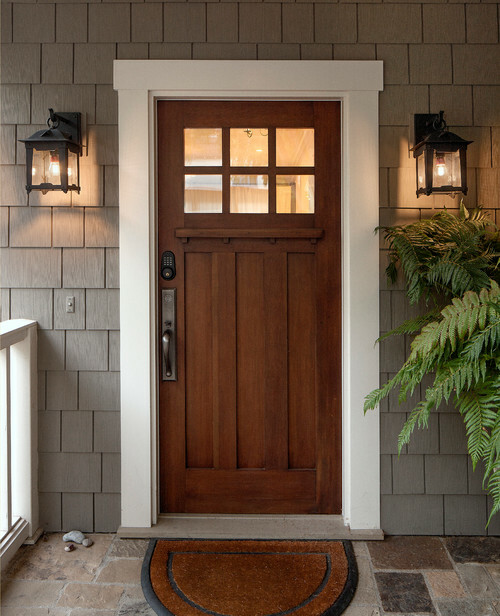 For both indoors and out, decorative or nostalgic bulbs give lantern lamps extra personality and enhance the long-standing comfort of your home. 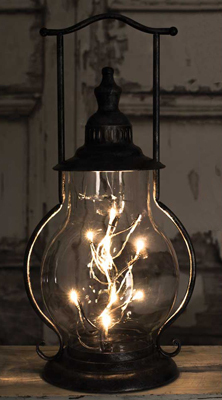 How do you illuminate your home with lantern lamps? 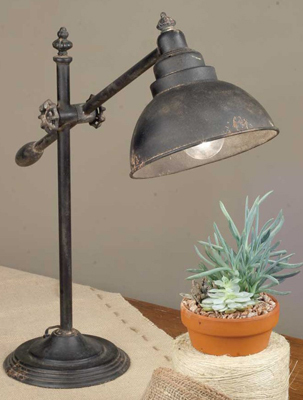 Share your tips and tricks with us – and here’s one last look at what you can do with this primitive style lighting. The romantic feel sure is alluring, and we love the slim profile of each lantern – just be sure to use flameless candles for safety. Our entire lighting collection is on sale until September, but there’s more to see outside the pages of our catalog. Web exclusive lighting is also on sale, and to give you a look into what we offer on our website, we are spotlighting five new lamps that will look perfect inside of your home. Old world charm and decorative appeal are exemplified beautifully in the LED Steeple Lantern, a metal accent lamp with a rustic design and twinkling LED lights inside a glass chimney. 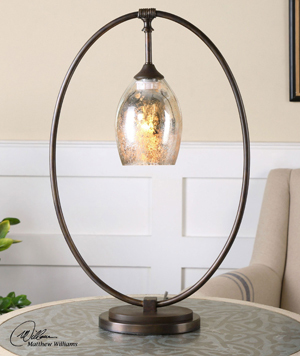 This lantern makes a beautiful addition to your farmhouse kitchen or an accent table in the entryway. Also a practical option and one that saves space is the Mission Chairside Lamp End Table. With an end table and lamp in one, you have the lighting you need next to your furniture and a stylish Mission designed end table on which to place books, electronics and collectibles. The final two web exclusive lamps for this spotlight are truly works of art. The first, a romantic design completed with a silken champagne-colored drum shade for a timeless yet stylish look in any room. 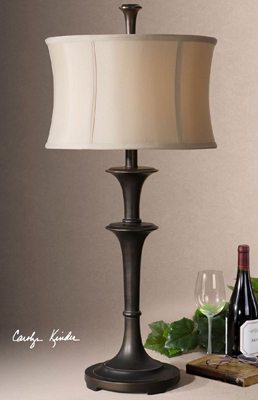 Designed by Carolyn Kinder, our Faye Table Lamp is a classic decorative and functional home accent. The second is lighting like you have never seen it before; the Elda Oval Table Lamp’s mottled glass shade suspends in the air, supported by a rubbed oval frame. A stunning statement piece designed by Matthew Williams, this decorative accent lamp is not one you or any guests will forget. Find more web exclusive lighting and our extensive lighting collection at www.SturbridgeYankee.com as well as in our catalog; see what’s new in lighting and illuminate your home all year long. Lamps and candles are one of the easiest home accessories to work with, especially when crafted out of items you may have lying around the house. If you haven’t packed away your white string lights, or have extras waiting to be packed away, adding them to a glass vase, large Mason jar or empty wine bottle quickly creates a new lighting fixture perfect for windows and tables. When adding to a wine bottle, simply allow the string to come out of the top to plug in, or choose to drill a hole through the back for a cleaner look (find out how to do this safely here). then place the candle on top of the salt. 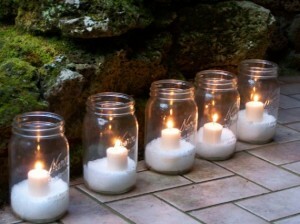 Place outside along a walkway or inside on a coffee table for a warm, rustic decoration. Add greenery and white sparkly baubles around the glass container for a complete wintry centerpiece. 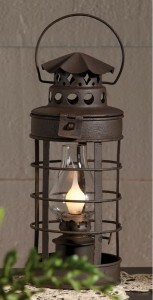 A lantern lamp also adds primitive and unique style to any cozy room or darkhallway, especially when lit by a candelabra bulb. Our Coach Lantern Accent Lamp is perfect for an end table or small stand, and creates a warm glow during those cold nights when the wind howls outside your windows. Pick out between 1.5 to 3 yards of fleece (2 pieces) at your local fabric store. You can choose the same color, print, or mix and match prints and colors for a unique look. Lay out both pieces on a flat surface, making sure the softer sides face out. Cut a rectangle out of each corner, using a note card or similarly sized object to guide your scissors. Work your way down each edge, cutting 2- inch long strips that measure about 1 or 1/2 of an inch wide. Working on one side at a time, tie knots using the top and bottom strips; make sure the fleece stays as flat as possible. 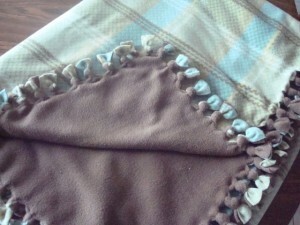 Once you’ve tied the last knot, your blanket is ready to be draped on a chair, couch, or used to keep you warm! If you aren’t feeling particularly crafty, no problem! Pull some of those stored blankets and throws out of that closet and adorn your furniture with them. 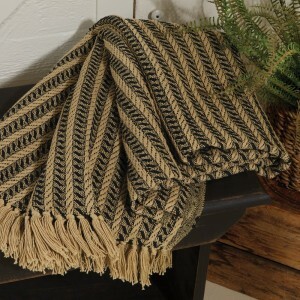 White, green, blue and neutral colored throws, like our Black & Tan Woven Cotton Throw, work well for a wintry theme. Keep in mind that adding a comfortable throw to furniture creates an inviting atmosphere and adds warmth to any room during the coldest days of the year.